Afterschool Program will begin August 13, 2018. $125 Registration, $99 per week per student*. Click here to register. Children are faced with a variety of challenges every day. We hope that through the training we provide, they will have developed the confidence and self-assurance to make the right choice. We teach that Martial Arts is NOT about fighting but rather it is about developing a strong mind and body. With this, the student is more capable of making good decisions which will help them be good examples; providing opportunities to help others... not hurt them. Parents, start your child's life on the right path and enroll them into XS Martial Arts Dojo After School Program. Have our van pick your child up from school and bring them to our location. Our educationally based program is held during Fall and Spring Semester from 6:00a.m. - 7:30a.m. for our "Before School Program". 3:00p.m. - 6:00p.m. for our "After School Program". 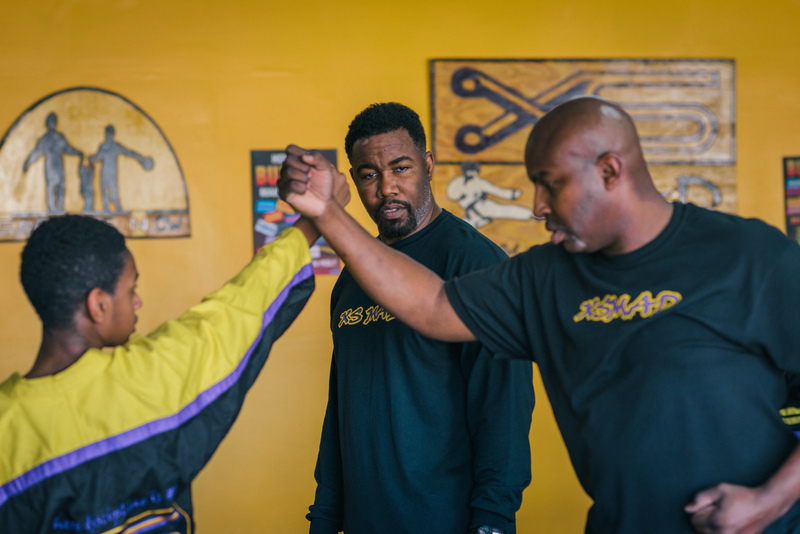 Our program will strengthen their bodies while developing their minds. Your child will get the assistance he/she needs while completing homework assignments, help those learn balance, endurance and coordination during martial arts classes. Our program will inspire your child to make good grades, exercise daily, meet new friends and make you proud. 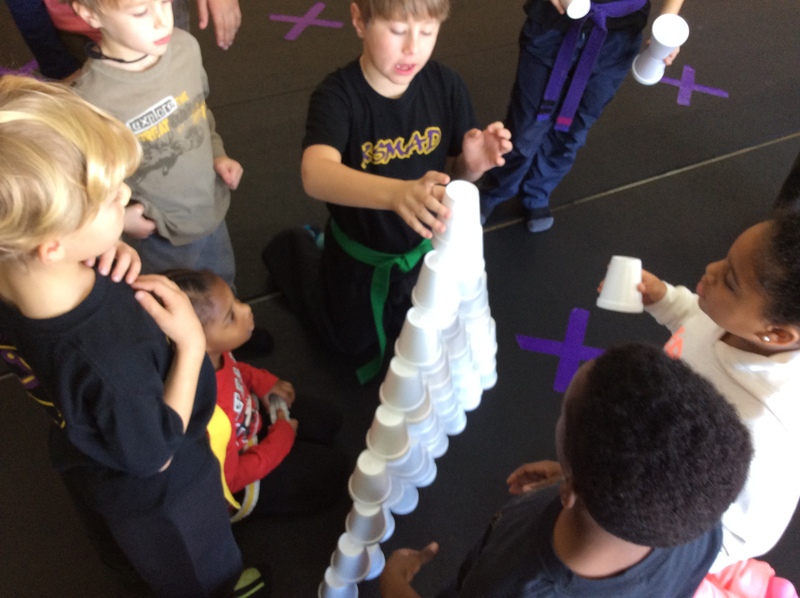 No other after school program will prepare them to become successful at home, build self-confidence or the "Yes I Can" positive winning attitude than XS MAD. Have questions about our after-school program? · Which schools do you pick up from? We pick up from various schools in the Greater New Orleans area. · If you don't provide transportation from my child's school, can my child still attend? Absolutely! As long as you have a way of dropping them off at XS Martial Arts Dojo, they can enjoy all the benefits of our after-school program. · What time can I pick up my child from XS Martial Arts Dojo? You can pick them up at 6:00 PM. · Can you drop my child off at home at the end of the day? No, we only provide transportation from school to XS Martial Arts Dojo -- we aren't able to transport children back home. · Will my child earn different belts? Of course! 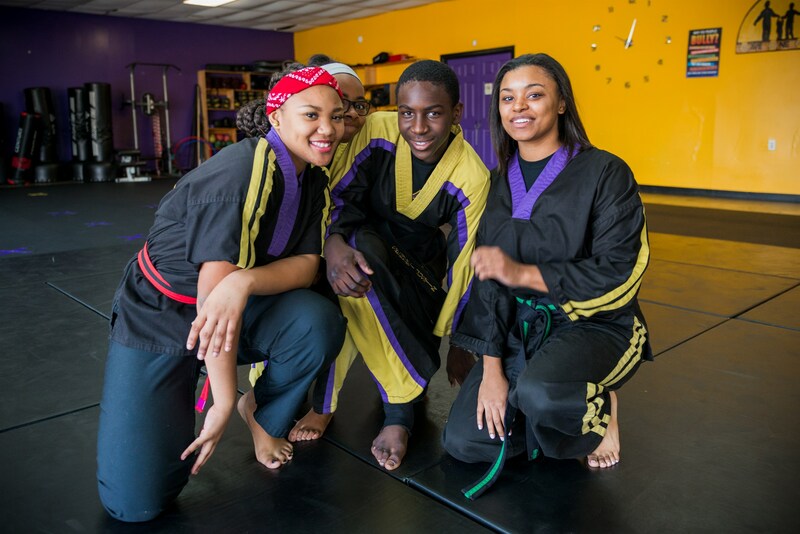 We are a black belt school, which means that it's our goal for every one of our students to earn their black belt. We do belt evaluations throughout the year, and during each of those periods, students have the opportunity to earn their next belt. · How much is the tuition for the after-school program? For the 2018-2019 school year, the after school program tuition is $99 per week, by automatic debit or credit card payments. · Will my child be able to do his or her homework? Absolutely! Each day's schedule includes a large block of homework assistance time during which students can do homework. 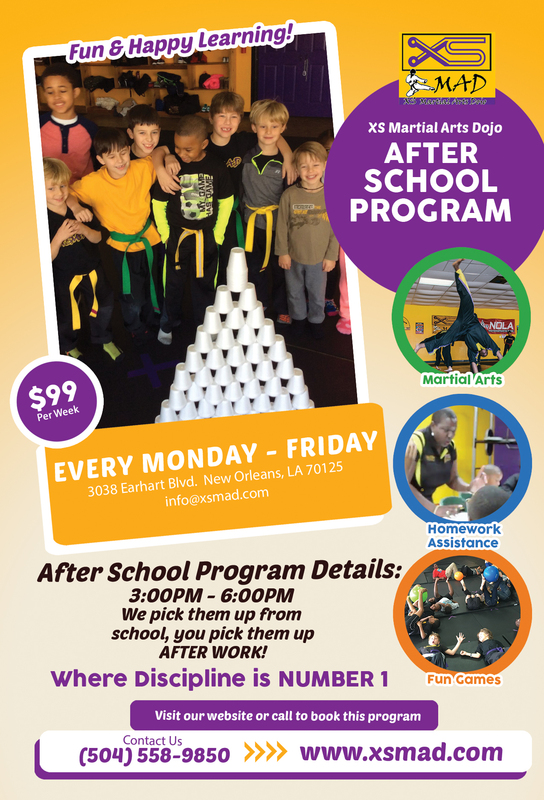 · Do you offer the after-school program on half days or holidays? No, we don't offer pick-up service or the after-school program on half days or school holidays. However, if we are open that day and your child has a scheduled martial arts class, feel free to bring them in to take that class. Also, we usually offer a day camp during December for an additional fee. · Do you provide snacks in the after-school program? We provide water but not snacks, so after-school students should bring food daily, or they can purchase snacks at our facility. · Do you accept public assistance vouchers? · I'm ready to start! How do I register? Afterschool Program will begin August 13, 2018. $125 Registration, $99 per week per student. Click here to register.